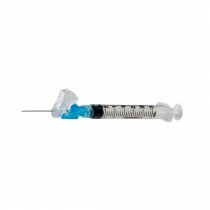 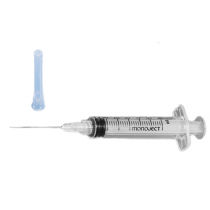 Syringes with attached needles are designed for quick, convenient use with no guesswork as to compatibility. 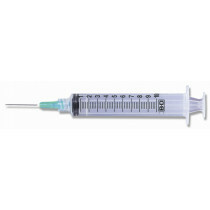 Syringes with needles are monoject and tuberculin syringes. 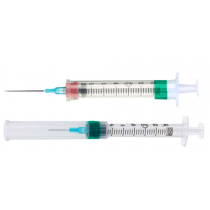 Most of the needles have built-in safety features to prevent needle sticks or they come with a cap. 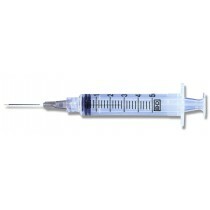 Always dispose of syringes with needles safely. 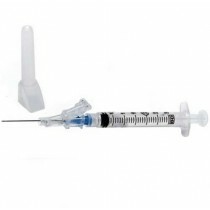 See our selection of sharps disposal containers for needle disposal.